This exhibit depicts a C3-4 anterior cervical discectomy and fusion with a polylactide absorbable interbody fusion device. 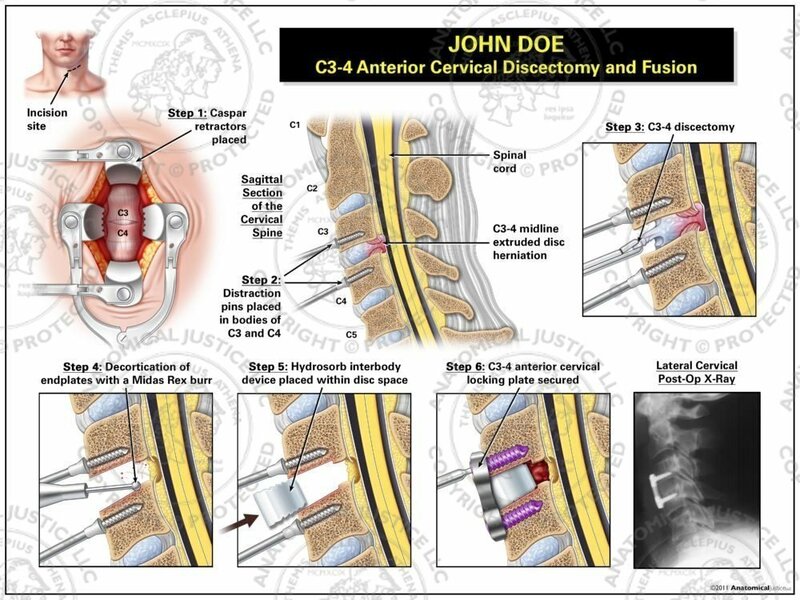 The procedure begins with an incision over the anterior neck, exposing C3-4. 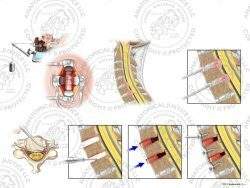 Distraction pins are placed, and a midline C3-4 disc herniation is removed. The vertebral endplates are decorticated with a Midas Rex burr, and a hydrosorb interbody device is impacted into the disc space. 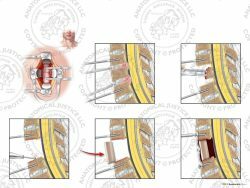 A C3-4 anterior Zephir cervical locking plate is then secured with screws.